Application Testing Sydney Australia | Web Development Sydney | Website Development Sydney | Sharepoint Sydney | IPhone Development Sydney | Batish Technologies | Batish Technologies Pvt. Ltd. Application Testing – Batish Technologies Pvt. Ltd. 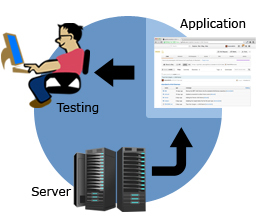 Application testing, depending on the testing method employed, can be implemented at any time in the development process. However, most of the test effort occurs after the requirements have been defined and the coding process has been completed. As such, the methodology of the test is governed by the software development methodology adopted. E-business sites are widely recognized as a must-have marketing and information tool. Your company invested significant time and money into developing your business website. The key participants in the website development process often become attached to the overall design and performance, sometimes losing sight of how appealing the site is to the target audience. To help ensure that your business website is high caliber on all levels, various testing methodologies should be incorporated to find weaknesses in usability, as well as functionality, performance, and browser compatibility. History has proven that software defects, bugs and logic flaws are consistently the primary cause of commonly exploited application software vulnerabilities. These can lead to unauthorized access of your networks, systems, and applications information. Our detailed methodology, and a combination of manual techniques and proprietary and commercial tools, this type of assessment pinpoints specific vulnerabilities and identifies underlying problems in the web application. 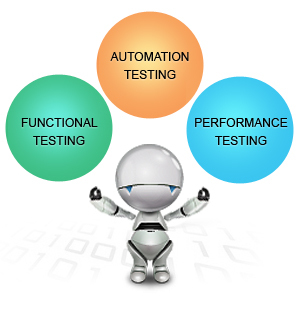 Batish Technologies is IT Solution Company in Sydney, Australia providing complete Application Testing Services. For more information on Application Testing Services in Sydney and other Nsw areas in Australia , contact us.